A glimpse of a film of the North Carolina State Fair, one of the films to be restored as part of the NFPF grant. Few media formats are able to immerse one in a story or transport one into another reality as thoroughly as motion picture film. A moving image complete with sound and color is indeed the next best thing to being there. Captured on film, the past comes alive. The State Archives of North Carolina preserves hundreds of motion picture films, many of which document historic events, people, and places – from Depression-era common folks in cities and towns across the state, to home movies depicting real lives of real families in the 1960s, to Governor Terry Sanford addressing the citizens of North Carolina upon the passage of the Civil Rights Act of 1964. Films are part of a growing and important body of historical material the Archives collects and makes available to researchers. 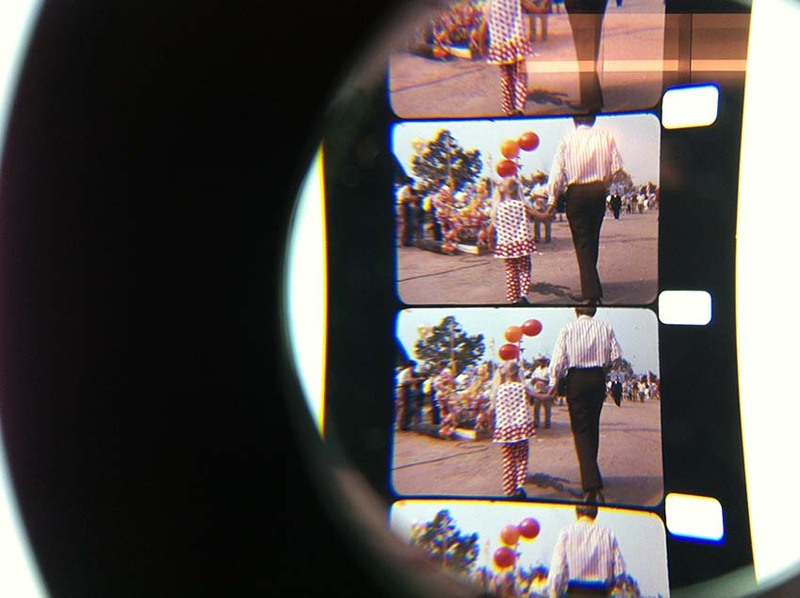 In July 2014, the State Archives received a grant from the National Film Preservation Foundation to preserve and reformat two more films, “The North Carolina State Fair” (ca. 1974), a daylong glimpse of the Raleigh-based event, including an appearance by Bob Hope; and “Scott for Lieutenant Governor” (ca. 1965), a campaign ad for Robert W. Scott’s bid for lieutenant governor. The films were produced by Century Film Productions, a Raleigh-based film studio that operated from the 1950s to the 1980s. Owners O.B. (Ollie) and Lynne Garris donated their collection of 175 films and outtakes to the State Archives in 1985. These films document mid-twentieth century North Carolina state politics and social and economic history and culture. View films from the collections at the State Archives on its YouTube channel: https://www.youtube.com/user/ncarchives/videos. This entry was posted in News, Special Collections and tagged audio visual materials, Dept. of Cultural Resources, grants, press releases, YouTube on July 25, 2014 by Ashley.